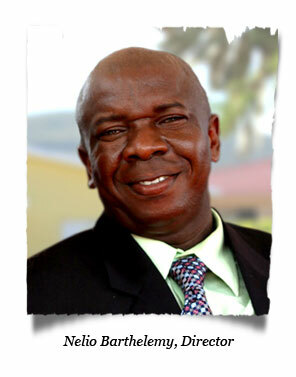 Nelio Barthelemy is LAC’s Haitian Director overseeing the entire ministry and all of our Love A Child Haitian staff. Some of his key responsibilities include facilitating the clearing of containers through Customs, their delivery to Fond Parisien, as well distributing the food and supplies to our partners and neighboring villages. Nelio comes from the village of Bethel (Petit Des Dunes). He was in our Child Sponsorship Program and was able to complete his education. Sherry worked in the Bethel area where Nelio was born and when he was young, she taught him English by writing words in the dust that had collected on her truck windows. Years later, Bobby and Sherry discovered Nelio, probably only 19 and very skinny, working under the hood of an old car. As Bobby saw him working there, he turned to Sherry and said, “Sherry, the Lord told me that young boy under the hood of that car will one day oversee the entire Love A Child ministry in Haiti.” And, so it is… Great wisdom comes from listening to the Lord. It takes many helpers to care for God’s children in the Love A Child Orphanage. Right now, we have seventy-plus children living in our orphanage, but it feels like a hundred! The staff helps provide a healthy lifestyle for all our orphans. 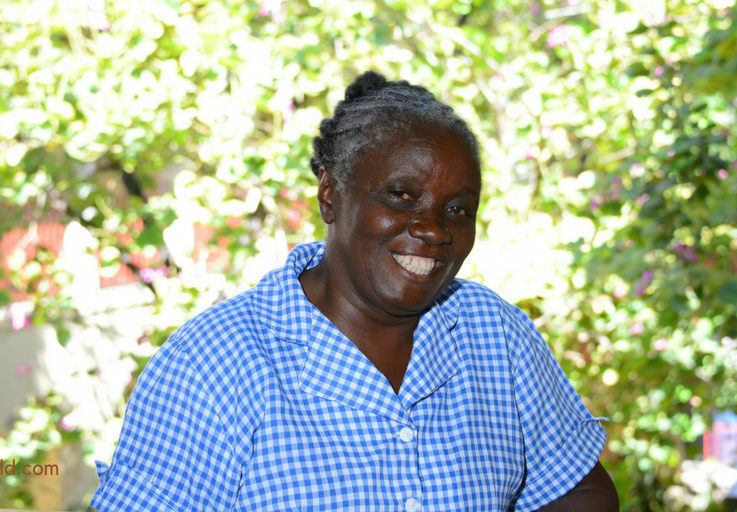 Nini manages our kitchen and prepares meals for mission teams working in Haiti. She has been on staff here for over two decades. Gilbert is responsible for housekeeping at the Love A Child Orphanage. He has been working at Love A Child for over 20 years. Kitley is our head “laundry lady.” Can you imagine all the dirty clothes created from over seventy-plus orphans? She has taught the rest of the laundry staff how to use the automatic washing machines and irons. 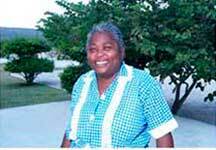 A dedicated team member, Kitley has been with Love A Child since 1991. 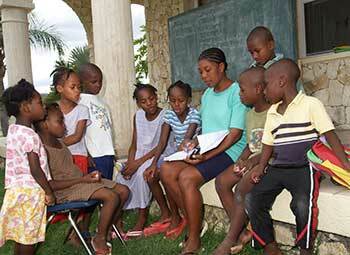 Helping the children with their homework every day after school is something that every staff member takes part in. Love A Child owes its success in large part to these dedicated men and women. We are truly blessed to have each and every one of them on our side. Once the clothes are washed and folded, some of the children pitch in to help the ladies put them away. At the orphanage, we teach the children the importance of taking care of their clothes. Passing on to the children the value of doing chores is a big job, and vital to the education we provide them.